Chris Carter and the crew behind the upcoming X-Files revival seem refreshingly free of illusions about the forces of fan passion and nostalgia that brought their show back after more than a decade off the air. In the interest of pleasing those fickle masters, they’ve already reunited series stars David Duchovny and Gillian Anderson and shoved them into their FBI-mandated suit-and-flashlight combos, then surrounded them with a bunch of nerd-friendly actors and cameos. 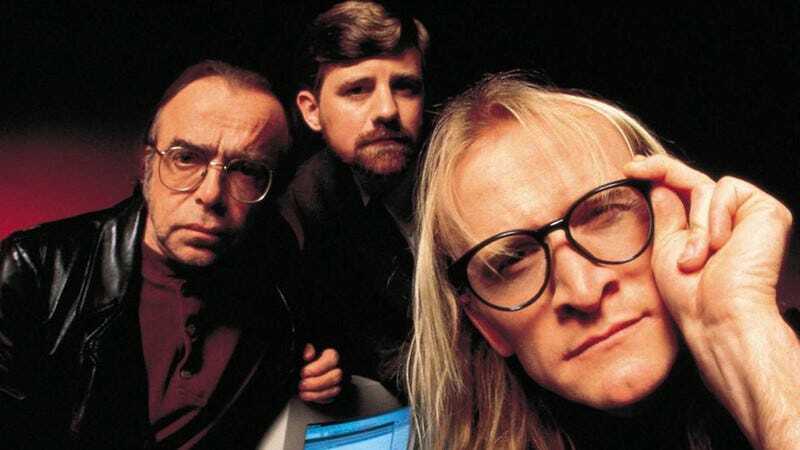 Now, it looks like the X-Files team is going for the nuclear option in their efforts to rekindle love in the hearts of a fanbase hurt by lackluster final seasons and the underwhelming I Want To Believe: The Lone Gunmen are coming back. The characters—Ramones-loving Langly, straight-laced Byers (Bruce Harwood), and lecherous Frohike (played by one of the show’s assistant directors, Tom Braidwood)—were last seen in the flesh during the final season of the show’s original run, in an episode devoted to tying up loose ends from their short-lived spinoff series. The fact that they died at the end of that appearance, thanks to a combination of a deadly neurotoxin and network executive fiat, would suggest difficulties in bringing them back, at least for a show less rooted in the fantastic and fan-serving than The X-Files. As it is, fans should expect to see them back in action when the event series airs on January 24.